Dianne Dulicai's career path is the epitome of the serendipitous magic that arises from passion, preparation, inquisitiveness, and a willingness to take risks. Much has been written about and by her, including interviews, articles, research, and lectures, published both nationally and internationally. Now, in her contribution to these Profiles, Dianne has generously shared the wisdom garnered from her own dance/movement therapy wayfaring. At a time when career longevity is on the minds of many, and in a field, which integrates creativity and scientifically-supported knowledge to expand, the telling of her journey carries special weight. Dianne's passion for continual learning, her belief in the biological basis of dance therapy, and the importance she ascribes to ongoing mentorship, networking, and connection, all crystallize into an inspiring career. Dianne first came into contact with dance therapy in the early 60's, as soft murmurings were growing louder, and DMT was growing into a budding and newly established field. Armed with early personal experiences of the healing power of dance, a Bachelor's degree in psychology, and an interest in human interaction, Dianne took advantage of opportunities which arose to apply her many talents. While teaching hearing impaired children in Dallas, TX, word of her work travelled to Washington DC, where pioneering dance therapists invited Dianne to visit. While there, she met with Marian Chace. This first auspicious foray into dance therapy would soon blossom into the beginning of a long and fruitful career in the field. Dianne officially entered the field of dance therapy in 1971. After moving to New York she began studying with Irmgard Bartenieff. An internship with Elissa White led to her first job at Bronx State Hospital where she worked as a dance therapist with psychiatric populations until another opportunity presented itself. Dianne moved to Philadelphia, to develop the DMT graduate program at Hahnemann Medical College and Hospital (now Drexel University). She describes her experience as an evolution of synchronicity, rather than one guided by pre-existing goals and aspirations. In each situation, Dianne came into contact with colleagues, friends, and mentors, together creating partnerships that opened doors. The medical director at the Bronx State Hospital, Dr. Israel Zwerling, asked Dianne to come with him to Hahnemann to develop the DMT program. She went. While at Hahnemann, Marion North asked her to go to London to help develop a dance/movement therapy program. Again, Dianne went, working there for four years. She refined her skills as a movement analyst and notator, dove into research, and created movement assessments for family therapy, and more. In addition to her work, Dianne served as the ADTA's president and vice president. She received the ADTA Lifetime Achievement Award in 2008. Currently, she remains active in the field by teaching family dance/movement therapy, working on thesis committees, providing movement assessments as a consultant, and occasionally treating families privately. Her inherent inquisitiveness and quest for knowledge is evident. "I am sure that what we do affects the brain. All of my career, I have been interested in learning and research." 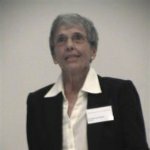 Believing in the scientific basis for dance/movement therapy, Dianne pursued a Ph.D in Developmental Neuroscience in 1990. "Part of the way that I stayed alive was continual learning . . . for me, being involved in learning . . . always led to exciting new adventures." That continual learning involved not only academic pursuits, but also learning from those around her. Her curiosity unearthed new possibilities. Her ability to find the learning opportunity in all situations helped her stay energized and motivated, to create and find prospects, to avoid burnout, and to carve out a deliciously rewarding career. Her advice for those considering a career in DMT or just newly entering the field? Anyone interested in this profession needs to have "a combination of dance background and an interest in psychological theories." Dianne suggests they visit regional meetings and chapter presentations. "Watch and listen and see if you fit in." To those already in the field, she recommends connection. "Connect yourself with someone who you would like to supervise your work, so you don't feel so disconnected. Keep learning so you are able to be strategic in the setting your are in." Dianne stresses the importance of research and keeping up to date with the literature. As clinicians and creators, DMTs often have to create job opportunities; the ability to speak about current research, quote studies, and to show how DMT is supported by neuroscience is important. "This isn't always easy to do when you’re working and have a life. But saving time to do this. . . I think it is really important." In her 2004 Marian Chace Foundation lecture, she spoke about the importance of ongoing mentorship. According to Dianne, the success of our field and the forward moving longevity requires our intentional linkage. "We are interdependent, and the future of our profession depends on the success of our interdependency." "Networking is the [best] way to get a job. In general, you have to go where the job is – rather than going to the place and saying, 'Now I want a job." Inspirational in her ability to spin her passion, knowledge, and inquisitive nature into a fulfilling and lengthy career, Dianne's wisdom is pertinent to everyone at any stage of their dance therapy career.